Sometimes it’s hard to grab onto the gratefulness. You know you feel it, somewhere, under the hectic heartbeat of your day-to-day. Even when you don’t feel it at all, it’s always there, waiting for you to recognize it. It’s there when you catch the sunset on your walk to Main Lot. 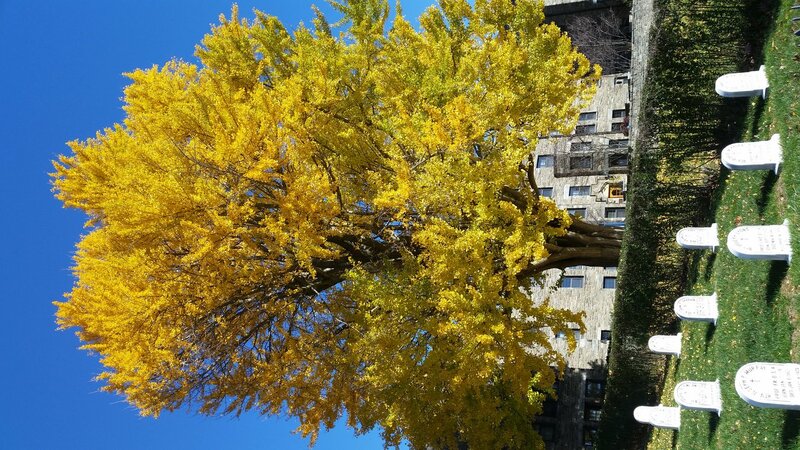 It’s there when you notice the golden ginkgo tree in front of Austin Hall. It’s there when you see your family and friends again, maybe even all around the same table. If ever you worry about not being thankful enough, remember – mindfulness is thankfulness. Happy Thanksgiving, Villanova. Take it all in today and hold it in your heart. 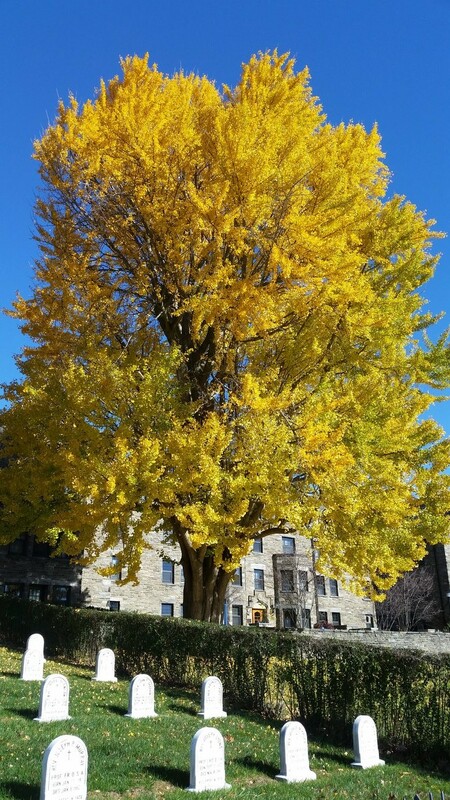 Ginkgo in front of Austin Hall. Photo by Michelle Callaghan.